Israeli naval forces opened heavy fire, on Sunday, towards Palestinian fishing boats off the coast of Khan Younis and Rafah, in the southern besieged Gaza Strip. 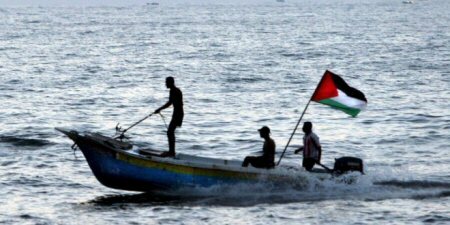 Eyewitnesses said that the Israeli navy repeatedly opened fire towards a number of Palestinian fishing boats, which were working within the permitted fishing zone, forcing the fishermen to head back to shore in fear for their lives. No injuries were reported, according to Ma’an.